Eine verwünschte Kette verwandelt einen entlaufenen Prinzen in einen Wolf. Doch mit einem drohenden Krieg am Horizont muss er einen Weg finden wieder Mensch zu werden. Soul’s Journey is a fantasy long-form webcomic created by Sophie Pfrötzschner and is rated as PG. 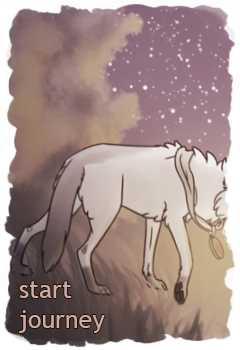 It updates every Thursday with a new page. The comic was launched on January 1st 2015 on SmackJeeves, where it is still maintained as a mirror site. In August 2015 it moved to its own space on the web and has been powered by the Grawlix CMS ever since. As of March 2016 Soul's Journey became part of the Spiderforest Webcomic Collective. 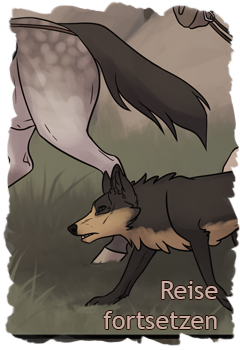 And in late 2017 a German translation was added to the website. The creation of the comic involves a Wacom Cintiq 22HD, PaintTool SAI 2, Photoshop CS6 and ComicLife 3. 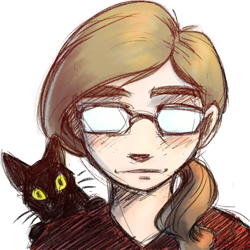 Sophie is a German hobbyist artist, writing and drawing the comic in her spare time. Other than Soul's Journey, she's also had short stories featured in the SpiderForest Anthologies "Threads" and "Threads: Rogues Gallery". Also, I’m a cat-person. Don’t let the comic fool you!